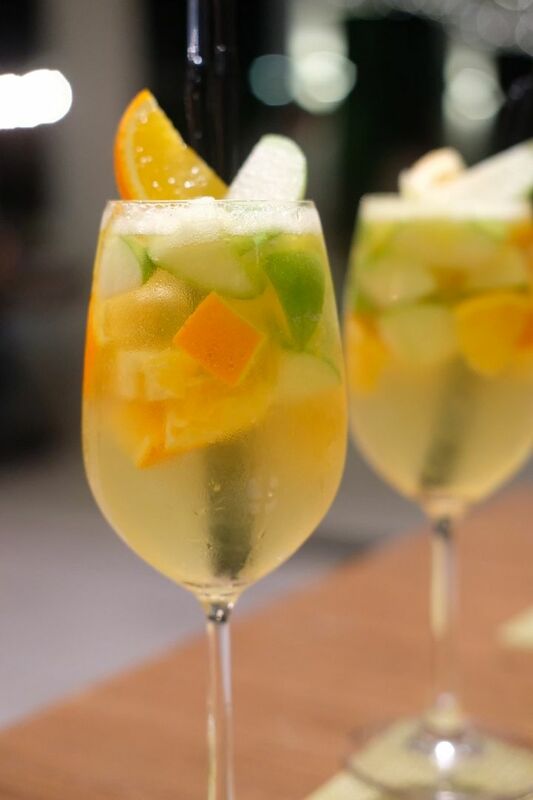 Always kick off dinner with a glass of cocktail, or sangria in this case. 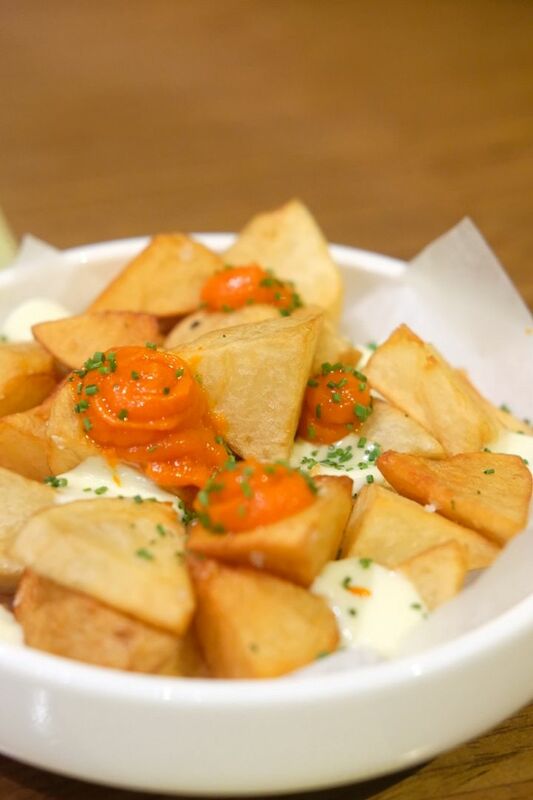 The Patatas Bravas($10) might not seem like much. It essentially is a dish of fried potatoes, aioli and brava sauce. However, for a potato-lover like me, this was a joy to tuck into. I could use more of that aioli though! Pulpo A La Parilla Con Papas Arrugadas Y Mojo ($32) sees an assemblage of a smoky grilled octopus tentacle, new potatoes, purple potatoes, mojo verde, sherry vinegar sauce and almonds. 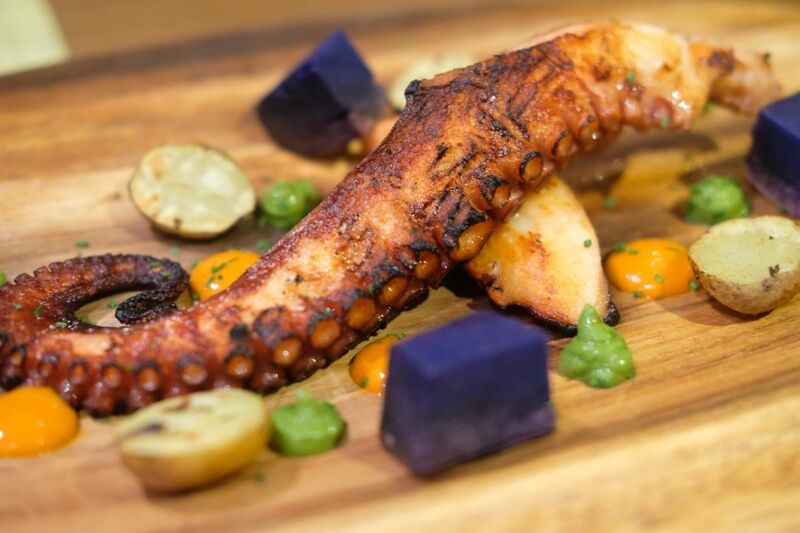 The octopus is sourced from Spain and slow-cooked in water with onions before the tentacles are grilled over a charcoal fire. Lightly seasoned with just pepper, the tentacle holds a charming natural saltiness. The tentacle was grilled to perfection and the crispy charred edges were exceptionally enjoyable. 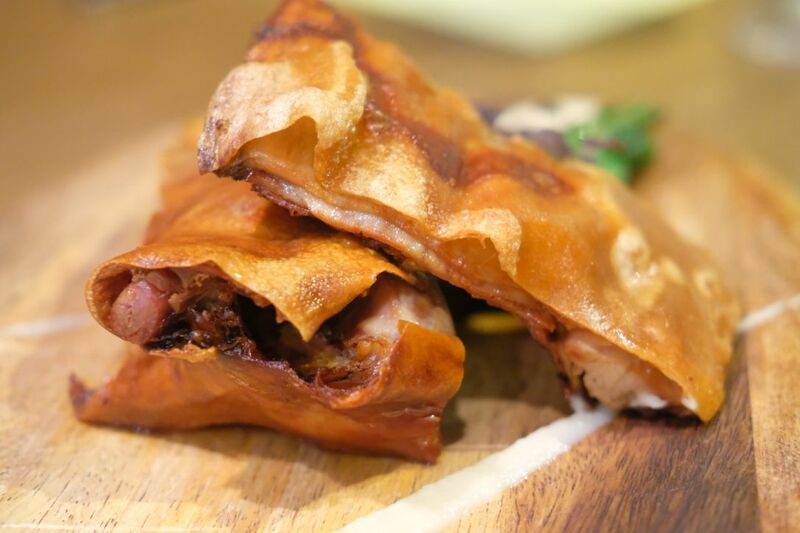 For those who love a good suckling pig, you have to order the Cochinillo Asado ($36). The suckling pig(also sourced from Spain) is marinated in white wine and garlic before it is roasted for 1.5 hours. Crispy skin? Checked. Tender meat? Checked. Will you crave for seconds? Yes. This pretty dish got me rubbing my hands in glee! I love foie gras and couldn't wait to dive right into this. The Coca de Higos Y Foie Con Vermouth($26) pairs foie gras with grilled figs, toasted Spanish flatbread and a vermouth reduction. The foie gras and figs are imported from France and I can't tell you how brilliant this marriage of flavours is. 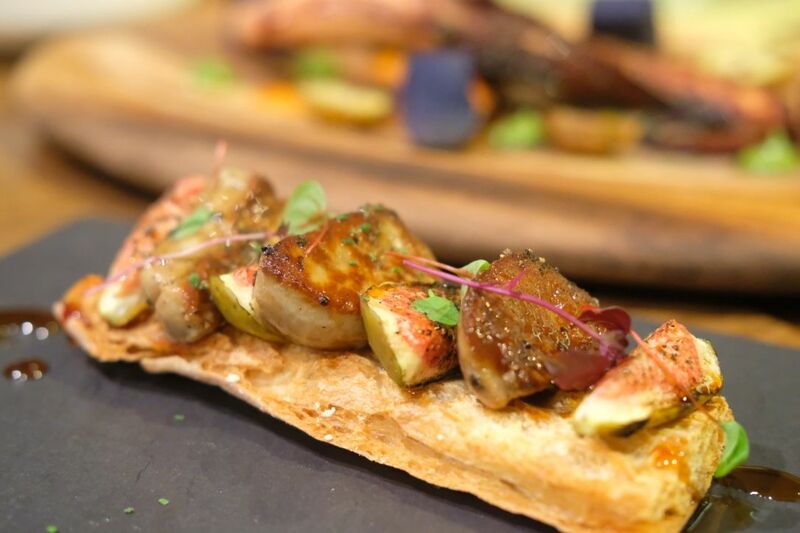 That distinct and strong taste of foie gras is elevated by the mild sweetness of the figs. The toasty flatbread was so good that I can eat it on its own! 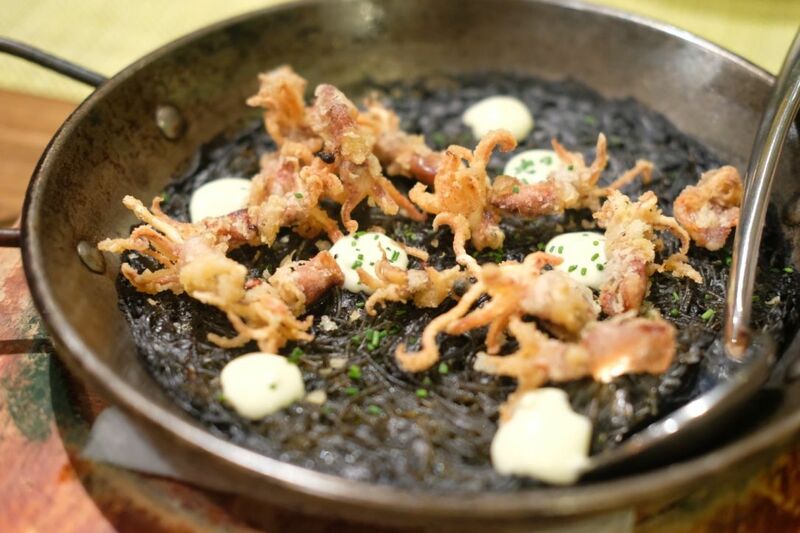 A must-order at UNA will be the Fideua De Calamares($20) which features crispy local baby squid, squid ink Spanish fideos pasta and sofrito sauce in a cast iron paella skillet. The calamari is so addictive! I can easily polish off an entire plate of it on my own. The fideos pasta is similar to vermicelli but has a chewier and springier texture. This might be meant for sharing but I don't think I would have any problem finishing it all by myself. Gambas Al Ajillo ($22) is a solid outfit of fresh tiger prawns sauteed in olive oil, white wine, garlic, chilli and parsley. 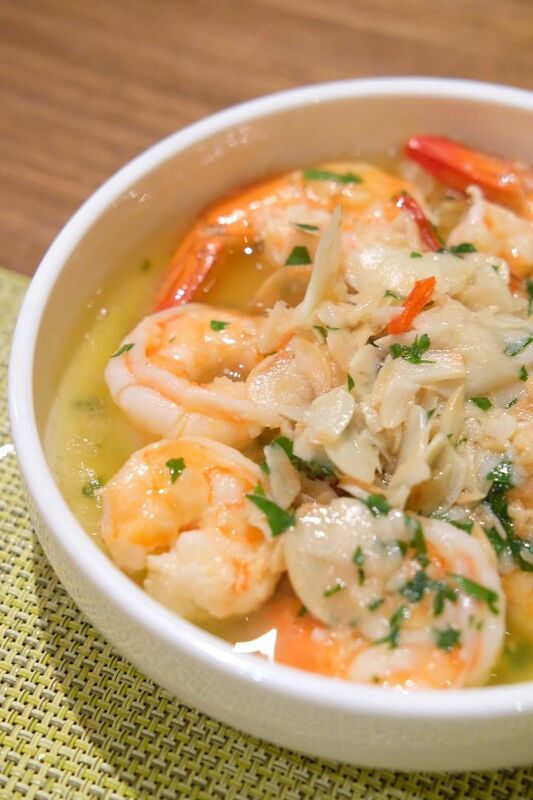 The execution allows diners to taste the pristine freshness and captivating sweetness of the prawns. 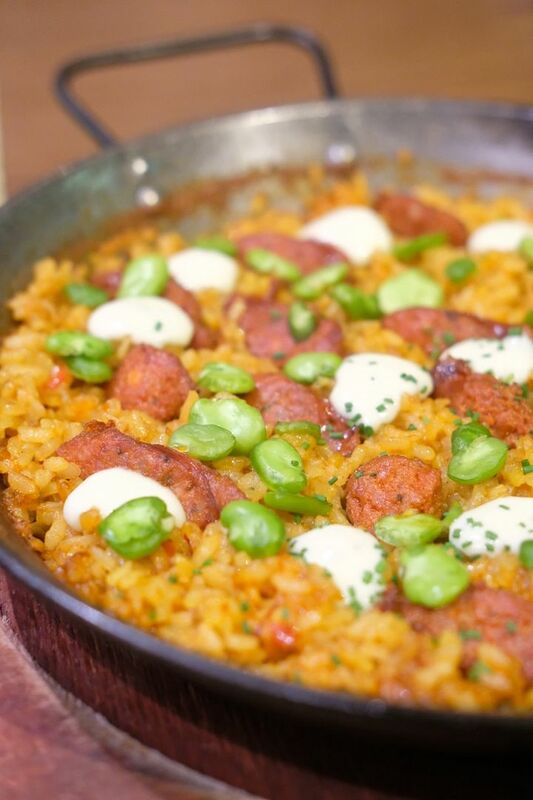 Needless to say, this dish earned praises from everyone. 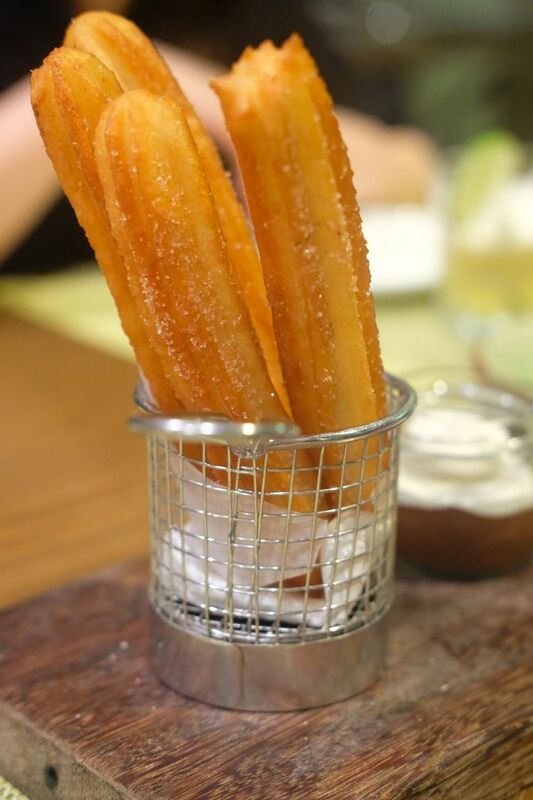 It's time for dessert and the Churros Con Chocolate Y Cafe($14) is an absolute must. The deep-fried choux pastry is dusted with cinnamon and sugar and every stick is light, crisp, and not too doughy. Dip them into the housemade dark chocolate sauce and coffee-infused cream and you might find yourself having a little bite of heaven. If you wanna go for something different, I will strongly recommend the Queso Fresco Calabaza Y Membrillo($14). 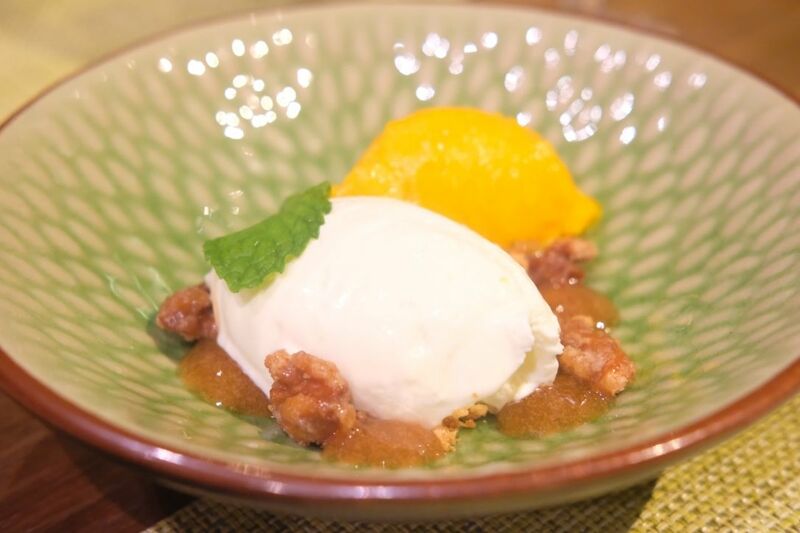 Fresh cream cheese mousse is accompanied by a flawless roasted pumpkin icecream, quince jelly and caramelized walnuts. I was initially hesitant to try the cream cheese mousse but it was so light and fluffy! This is truly a clever creation! The 264-seater is still one of my favourite restaurants to date and also a popular venue for weddings and parties. If you're looking for to celebrate a special occasion or a restaurant to host a corporate event, UNA might just be the place for you.